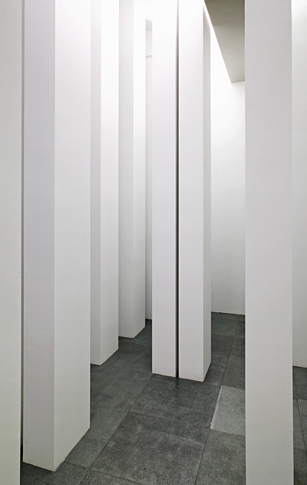 Repetition of pre-existing structural elements that take up the whole gallery. 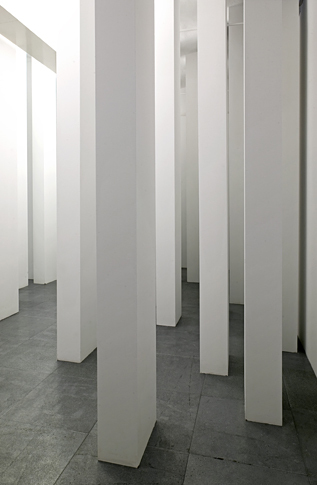 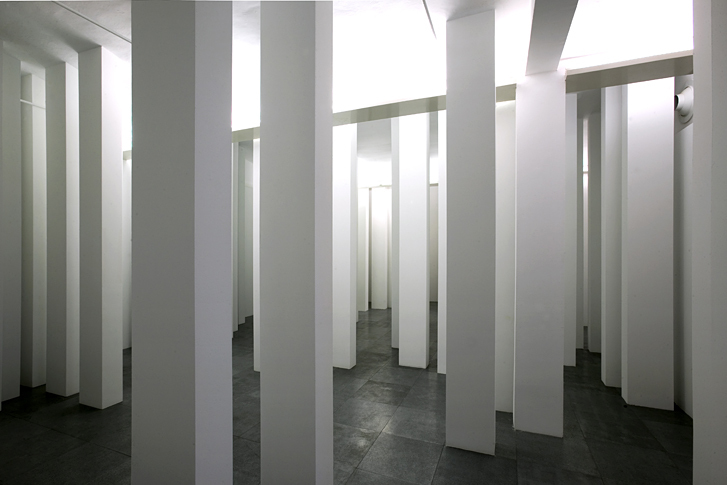 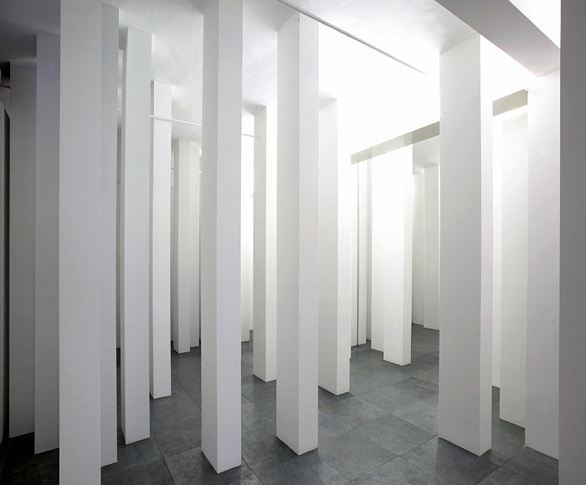 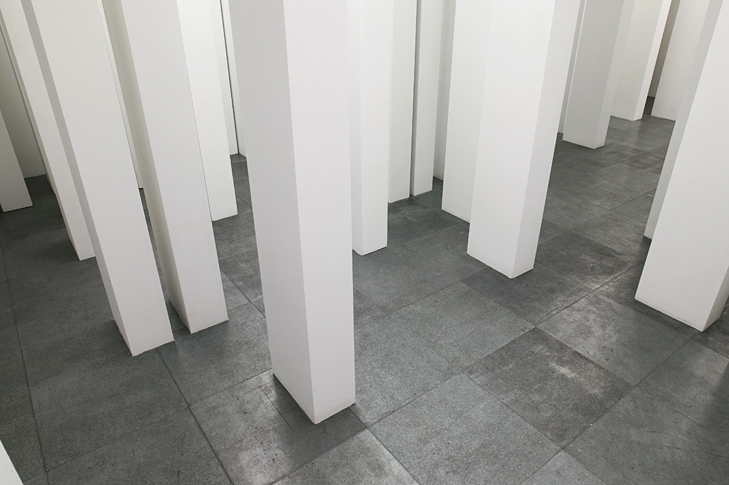 110 columns that deny the gallery’s space, creating a labyrinth that the visitors discover through their personal experience in the space. 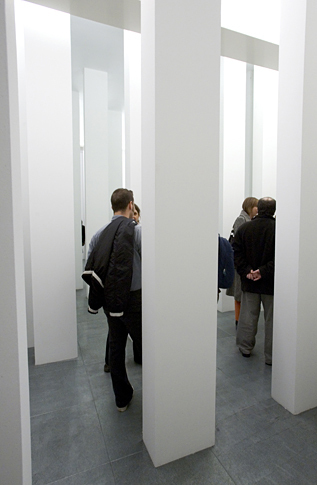 Espai Montcada, Caixa Forum. 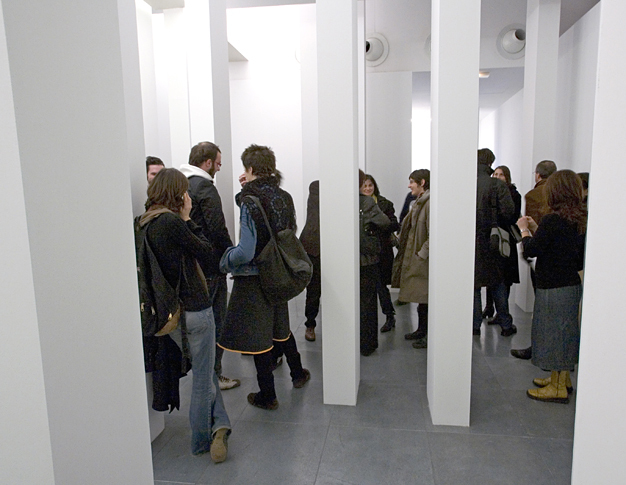 Barcelona, 2006.